PetFusion has been cranking out some awesome new products lately and this one is no exception! In fact, this is a product that I’ve been thinking about designing for a while now, and they beat me to it. Luckily they did a fantastic job! 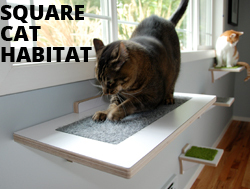 This is their new Litter Box Privacy Screen, a great option for hiding your litter box. 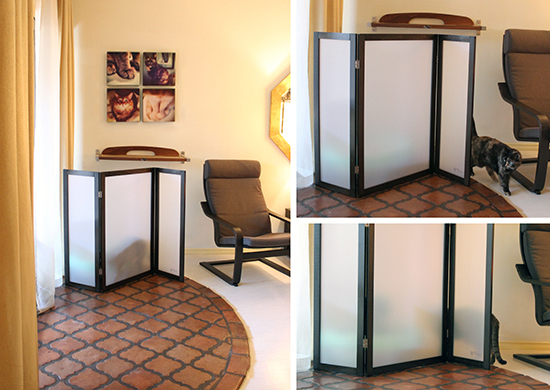 This elegant and functional screen goes in front of your litter box, providing a visual barrier for you and privacy for your cat. It’s really the perfect design with frosted panels that allow light to pass through, sturdy hinges, and a dark stained bamboo frame. I’ve seen other small room dividers that could be used for this purpose, but none of them are quite the right size and they would be difficult to keep clean. The PetFusion Litter Screen is made specifically for use near a litter box so the plastic panels can be wiped clean and it’s light and easy to move. This is a real winner! Save 15% For a Limited Time! 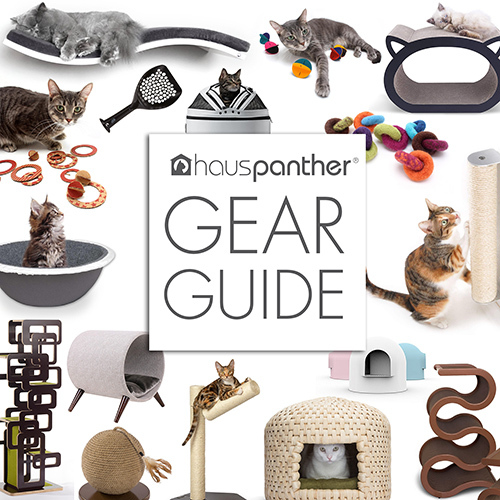 PetFusion is offering a special discount for Hauspanther readers! Enter discount code SCREENHP at checkout when ordering on Amazon and save 15%. The litter screen is regularly $59.95, and you’ll save $8.99. But hurry! This offer expires at midnight on October 19, 2017. *FTC Disclosure: The manufacturer sent us a complimentary sample of this product for review. This post contains Amazon Associate links. If you make a purchase after clicking on the links, Hauspanther will get a small commission. We are dedicated to finding the coolest products for cats and cat lovers and we never recommend anything that we don’t love. These are really beautiful and of course it’s practical that they are easily cleanable, too. Very nice and fulfill a great need! My cat, Katniss, says I should tell you she doesn’t need a screen and would rather have treats!